¡Hola! I am a native Spanish speaker from South America with experience teaching Spanish at all levels and ages. During our lessons, we will focus on conversation and Spanish immersion as much as possible. You will learn the most common expressions and vocabulary in Spanish. You will also learn grammar in context to make it more intuitive and easy. The lessons will be tailored to your needs during our one-on-one time. Let's have fun!!! p.s. Before paying lessons with me, please make sure that any of my availability times works with your schedule. Let me know if you have any questions. Marisol delivers an exceptional lesson experience and ranks in the top 15% of our teachers nationwide. I am Marisol. I was born in Peru and also lived in Venezuela for many years. Now, I live in the beautiful Northwest coast of Oregon. I used to practice law in South America. Now, looking for a more relaxing life with my family, I have found enjoyment teaching Spanish to people of different ages and backgrounds. I have experience teaching Spanish at all levels and ages, including people that want to learn the language as a personal goal or traveling purposes, college students, and professionals that need Spanish for their work. I have also taught Spanish to elementary/middle/high school students. Most of these students need help with the Spanish they are learning at school. It has been very rewarding seeing them improve their knowledge, grades, and motivation to learn. About my teaching style, I like Spanish immersion, and I focus on conversation with good grammar and pronunciation. We will be talking a lot in Spanish during our lessons. The lessons are tailored to my students needs. I am happy to join TakeLessons and bring my experience as a Spanish teacher. I hope to see you and talk to you soon. Intro video in Spanish and English. This was my first experience through Take Lessons, and it was everything I hoped it would be and more! I wasn't having any success finding Spanish lessons for my six-year-old around town, and stumbled across the Take Lessons site while online. After a bit of searching, I found Marisol and she's absolutely wonderful! She's patient and makes it a point to keep each lesson fun, yet educational. My son is engaged, and is excited for his lesson each week. Plus, we're able to continue lessons during bad weather and even while we're traveling. Added bonus! Thank you, Marisol! An awesome Spanish tutor who id recommend to anyone trying to learn Spanish! Such a great experience! Marisol was wonderful... thoughtful, helpful and got right down to business. This was exactly what I was looking! Marisol is a great instructor. She provides good language fundamentals, is patient with correcting pronunciation, and promotes conversation. At the beginning, I was skeptical how effective on-line lessons could be. Now I recommend on-line learning to everyone. 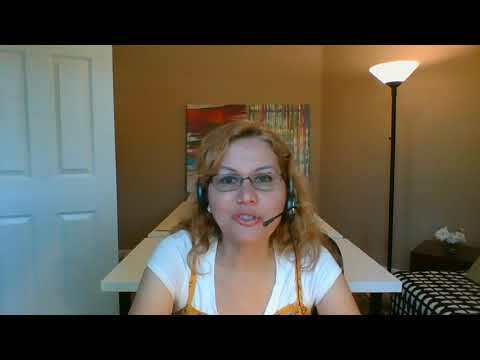 Thank you, Marisol for wonderful on-line learning experience. This was my first lesson with Marisol. And it went pretty well, she was very attentive to my learning styles when I explained them to her. I even changed from half an hour to a full hour with her, because I think we make a great match. I really enjoyed my first lesson. Looking forward to learning with Marisol. This was my first lesson with Marisol and I was able to learn a lot! She is very kind and helpful. Marisol is a very patient and knowledgeable instructor, my 4 and 5 year olds can be very active, however Marisol worked out a study plan that is working. My wife and I truly appreciate her. Marisol is a great instructor and knew how to help me achieve my language/Spanish goals with ease. She was very helpful and I would highly recommend her! I just started my lessons with Marisol and I am very pleased!! I'm so looking forward to the next one. Great first session with her. I look forward to the future! She's helping me get better little by little in my Spanish. Marisol is amazing! You will make the best decision picking her. Marisol is warm, friendly, organized and reliable. She is patient and supportive which has helped me relax so that I can learn. She makes great use of our time together. Having lessons each week with Marisol helps to keep me motivated. I have enjoyed the lessons and I have learned a lot. I plan to sign up for more lessons with Marisol.